What if cities were not designed by a few but by the many? In 2018 FABRIC is organizing an intensive production of desires for 13,000 sqm grounds owned by the Schöpflin Foundation located in Lörrach, Germany. 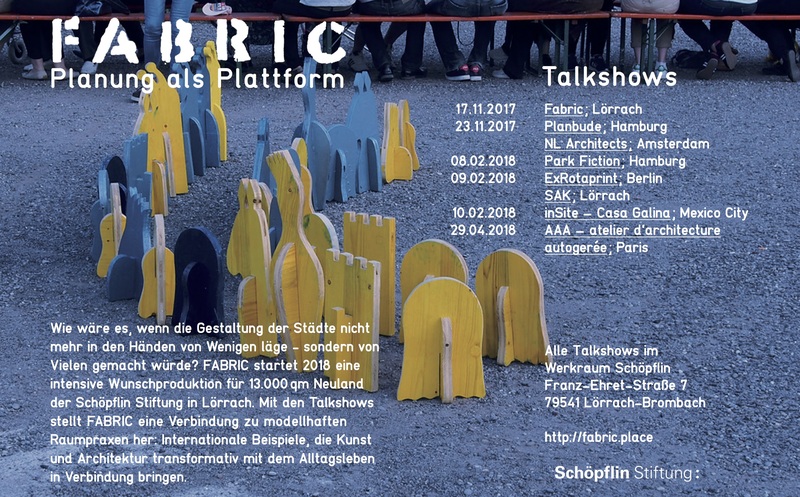 By introducing the Talkshows, FABRIC links to exemplary spatial practices: International examples connecting art and architecture with the everyday life in a transformative way. With PlanBude, NL Architects, ExRotaprint, SAK, inSite / Casa Gallina, Atelier d’Architecture Autogerée und Park Fiction. 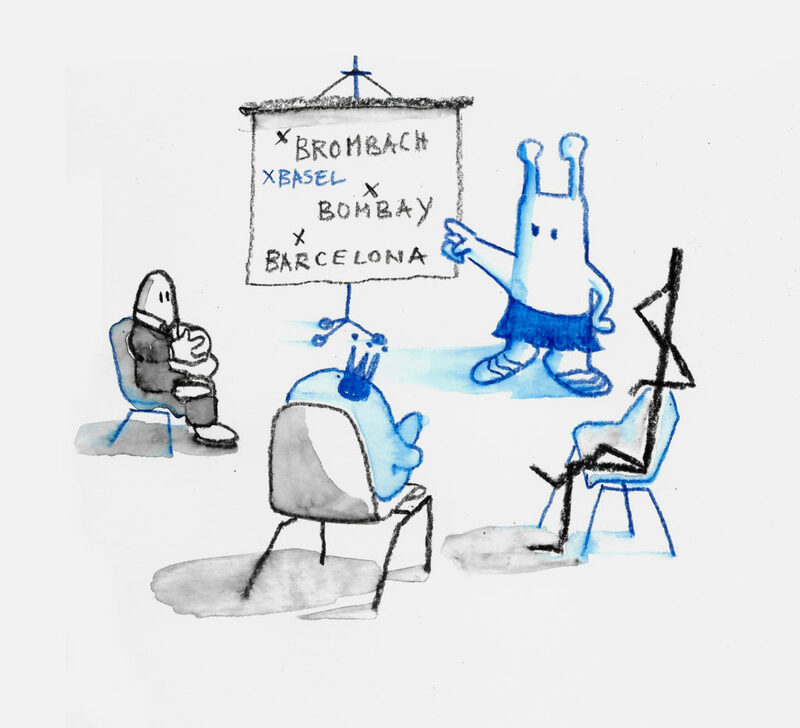 The FABRIC Team itself will kick off the Talkshows: What do we intend to do? What are you able to do? What is the production of desires? And how does it differ from other participatory methods? The FABRIC Team introduces the process, outlines the theoretical background – and shows examples of their own urban practice, which been displayed at Documenta and the Vienna Secession. Don’t miss out! Since 2014 the PlanBude in Hamburg is turning the rules of urban planning inside out: Founded in an independent community meeting, PlanBude organized an open planning process with artistic means – and precisely translated the desires of the neighborhood into a surprising program. The project for the „Essohäuser“ at the Reeperbahn is a model to FABRIC. Artist Margit Czenki and planner Renée Tribble invite you to a dazzling lecture: Crack the St. Pauli Code! NL Architects (Amsterdam), together with BeL (Cologne) designed the urban layout for the new Essohäuser. Based on the collection of desires compiled by PlanBude the architects designed roof tops to play on, a climbing wall clinging to a high rise, a Punk Rock Hotel – and 60% subsidized social housing. Kamiel Klaasse, founder of the Dutch office, will tell us, how planning with all these different desires is possible. NL Architects just won the renowned „Mies van der Rohe“ Award.